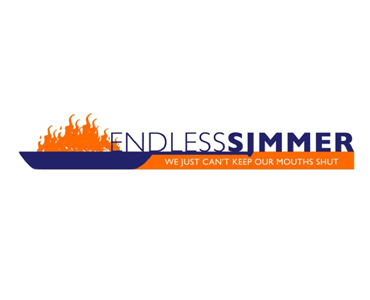 Endless Simmer is a food-focused website written by a network of bloggers across the United States, with writers based in New York, Philadelphia, Washington, D.C., Seattle, Austin and California. The site’s signature voice provides a witty and irreverent take on the world of food, covering restaurants, recipes, street food, farmers markets, cocktails and foodie-friendly travel destinations. Description: This is an opportunity to sponsor a post and engage directly with the Endless Simmer audience. Requirements: This post must be relevant to the content on EndlessSimmer.com and food or cooking in general, in order to be approved. Please provide a description of your company and product or service, as well as enough information for the sponsored post, along with any preferences. Description: This is an opportunity to sponsor a very popular section of Endless Simmer know as the 100 Ways series, which received over million pageviews itself in 2012. This series showcases 100 ways to cook creatively with certain ingredients. The sponsorship will include a linkable brand logo and “Presented By: XYZ” at the top of both the main index page, as well as every subpage. Requirements: Please provide a quality logo, brand name, link and any other relevant information about your company. Description: This is an opportunity to sponsor a very popular section of Endless Simmer know as the Endless Poptails Series, which received over 500,000 pageviews itself in 2012. This series showcases some of the most creative and tasty ways to make popsicles. The sponsorship will include a linkable brand logo and “Presented By: XYZ” at the top of both the main index page, as well as every subpage. Description: This is an opportunity to sponsor the 2013 America’s Best Sandwich award in advance. The sponsorship will include page branding with your logo and link, and will be presented by your brand. This has drawn in millions of visitors in its first two years and an opportunity to have permanent brand recognition on this year’s. Requirements: Must be submitted at least 7 days before March 1st. Please provide a logo, link and relevant brand information. There is only room for one sponsor for this so please inquire at advertisers@AdvertiseWithin.com to confirm availability before purchase.